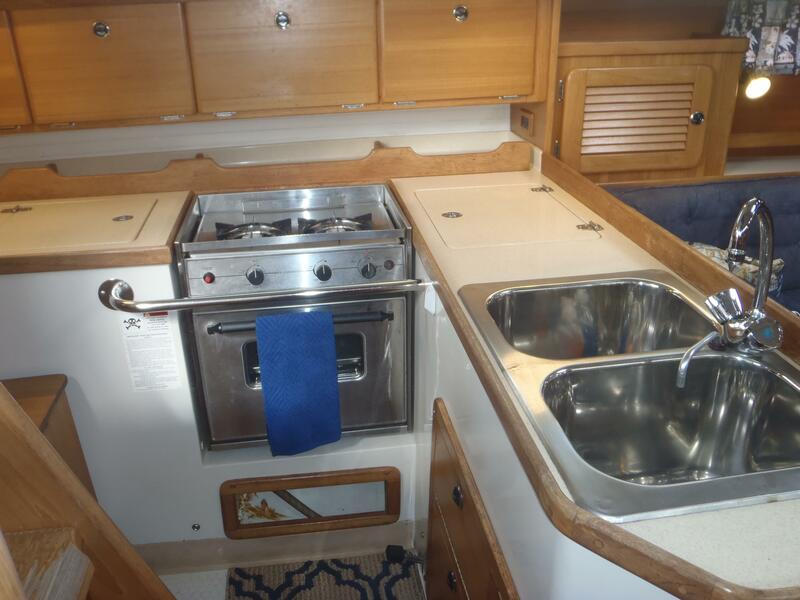 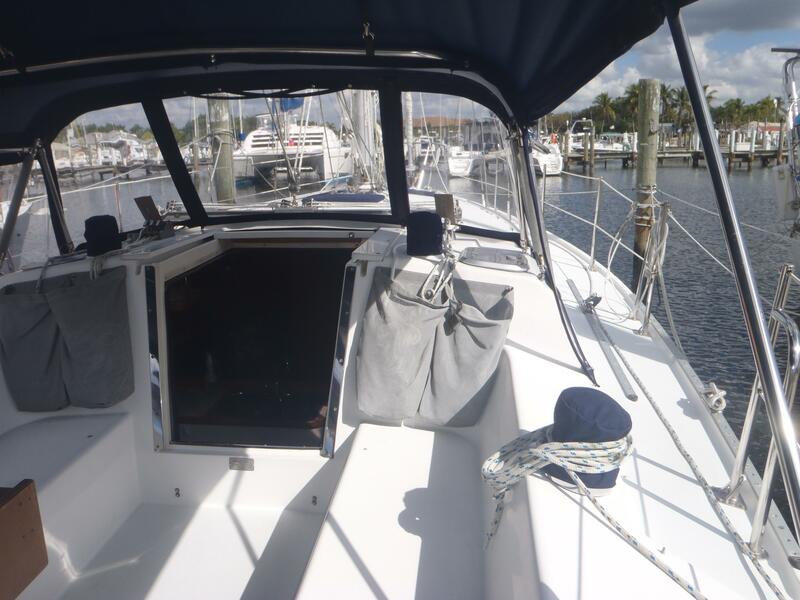 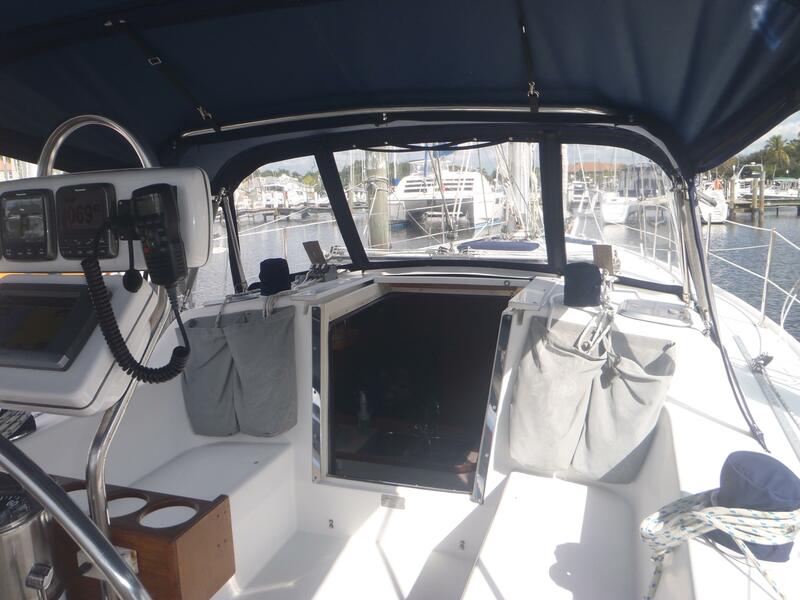 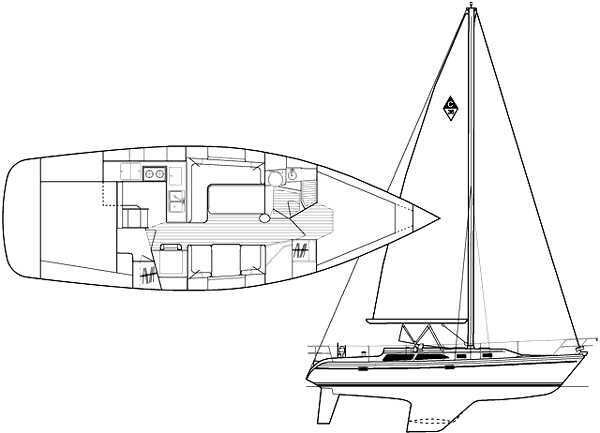 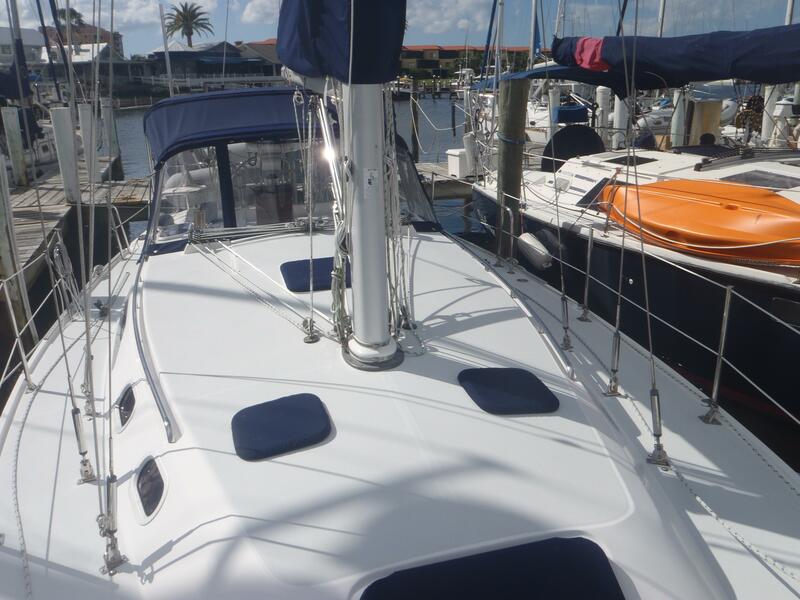 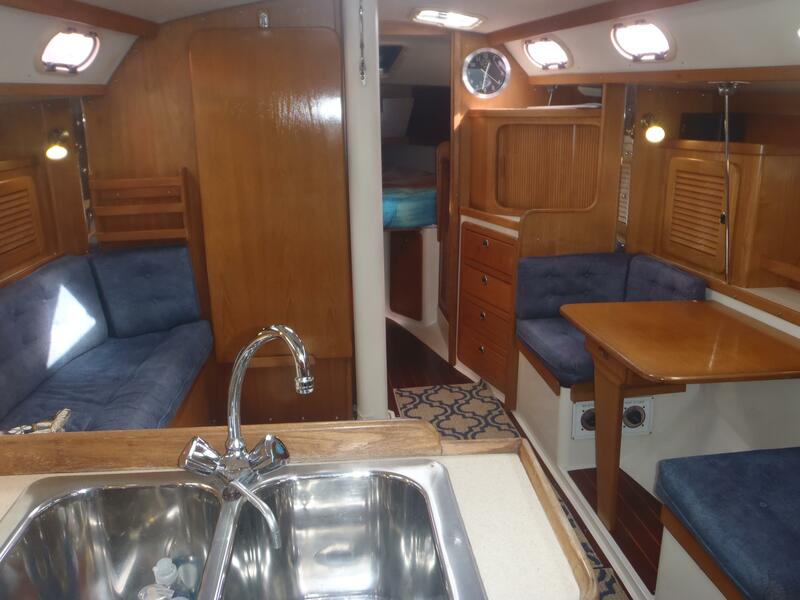 Enter into the cabin down 4 steps, to port is a full galley with double stainless sinks, stove/oven, microwave, and top loading refrigeration, with storage above & below. 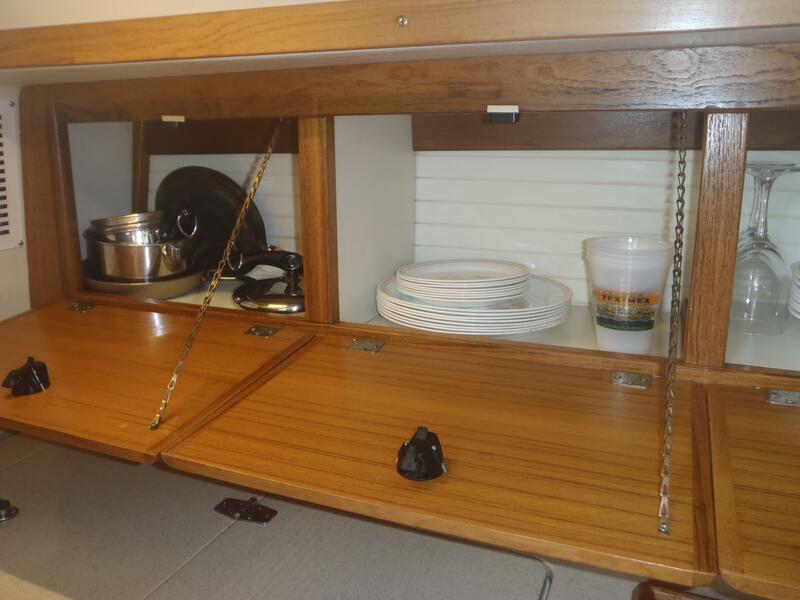 Starboard aft is a stateroom with private door, hanging clothes locker, chest of drawers, large queen berth athwart ship with opening hatch. 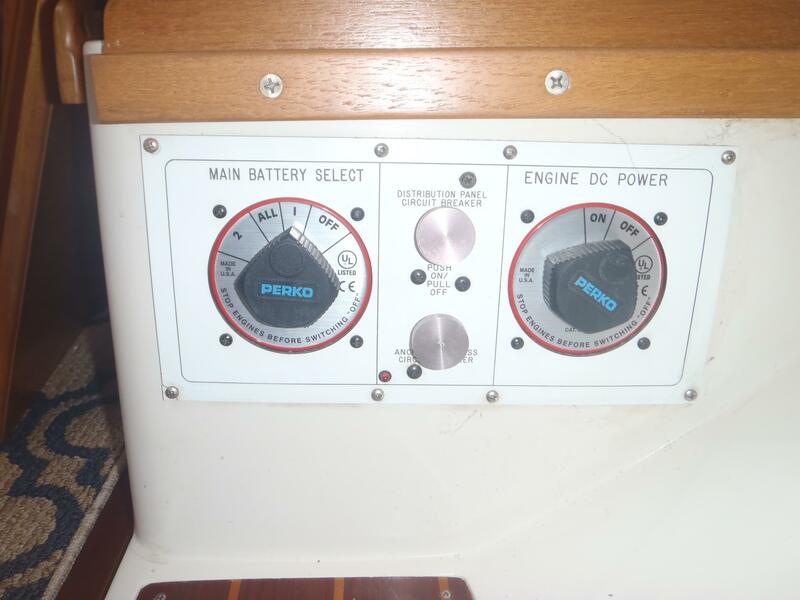 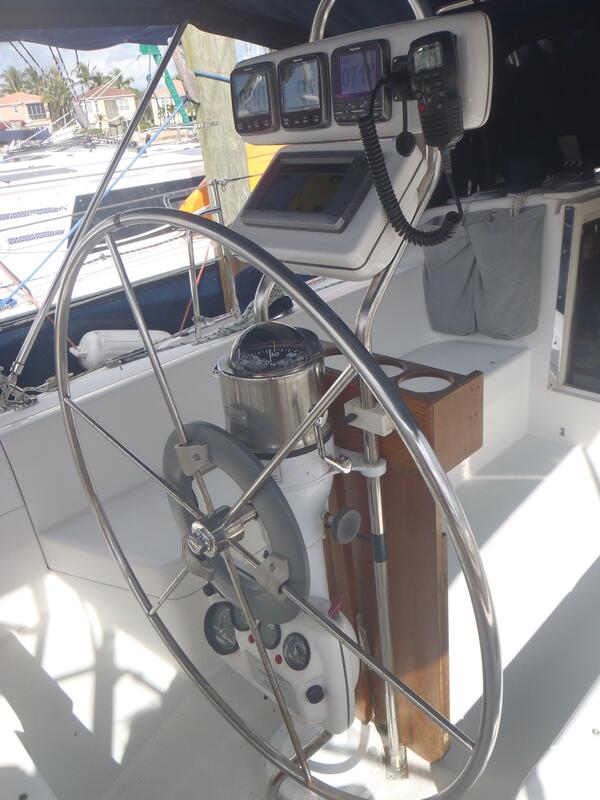 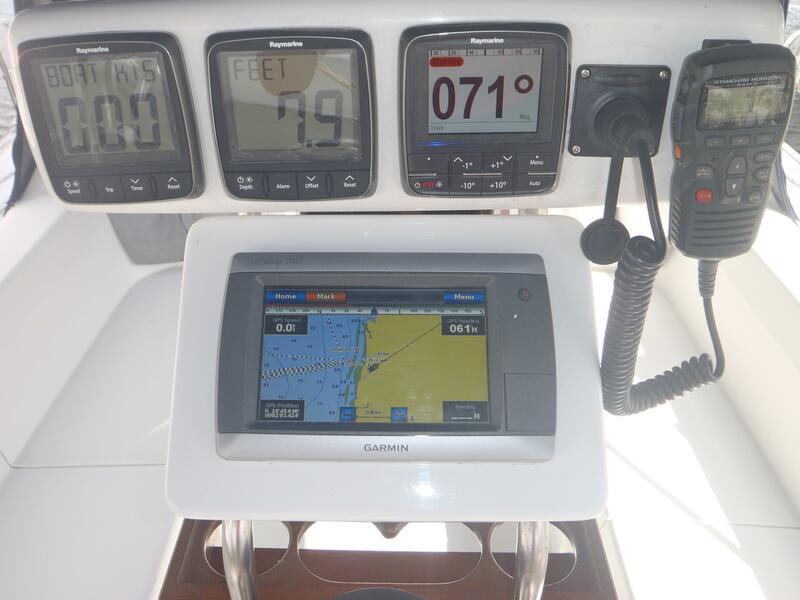 Also to starboard is the Nav/Chart table with AC/DC ships service panel. 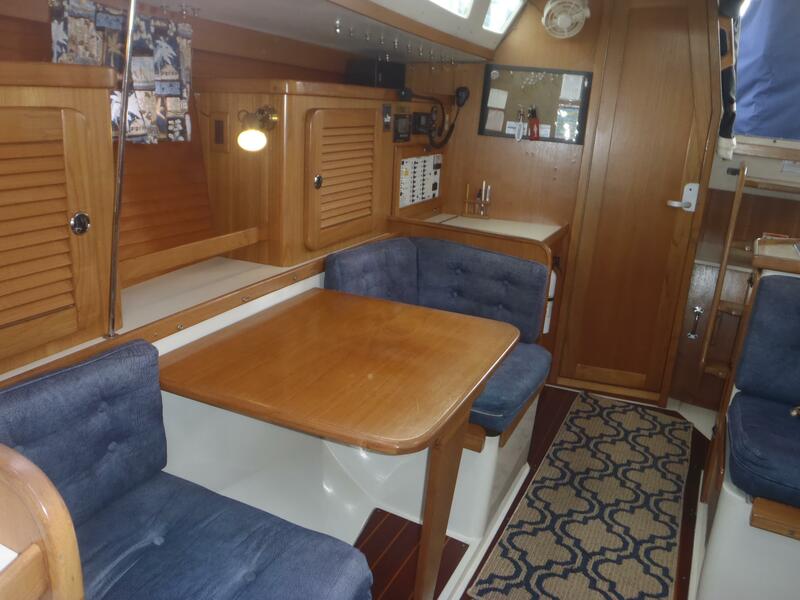 Forward of the Nav desk is a Game table with 2 single seats facing each other. 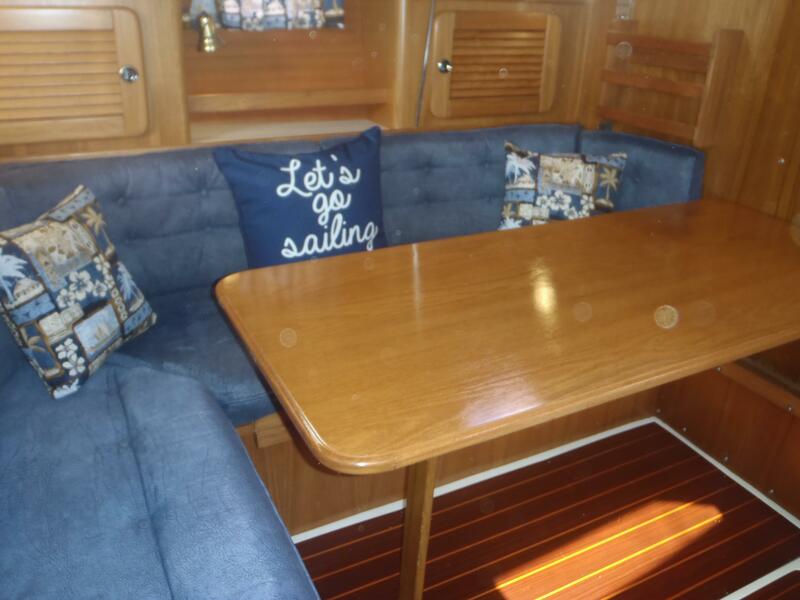 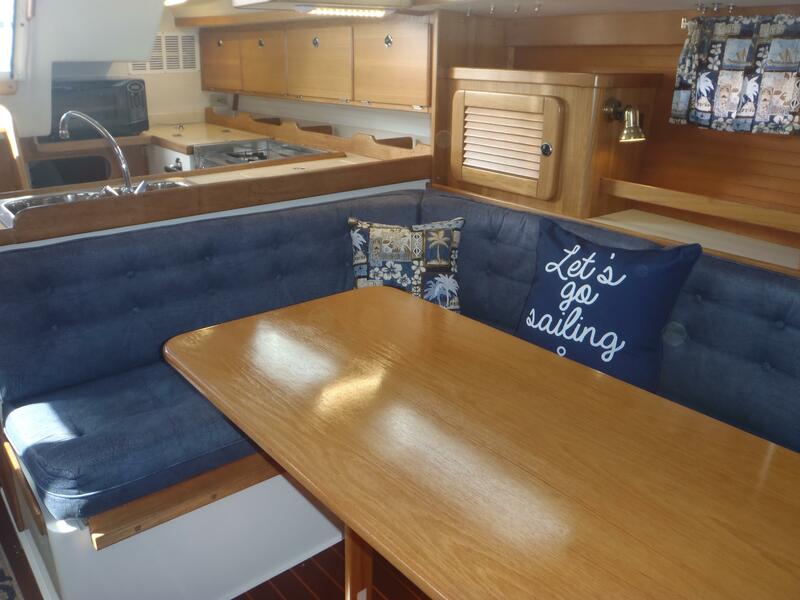 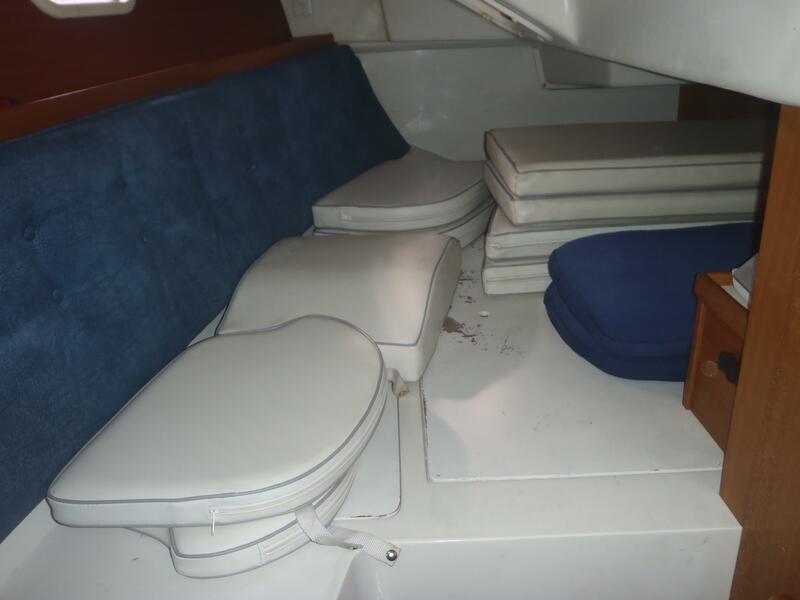 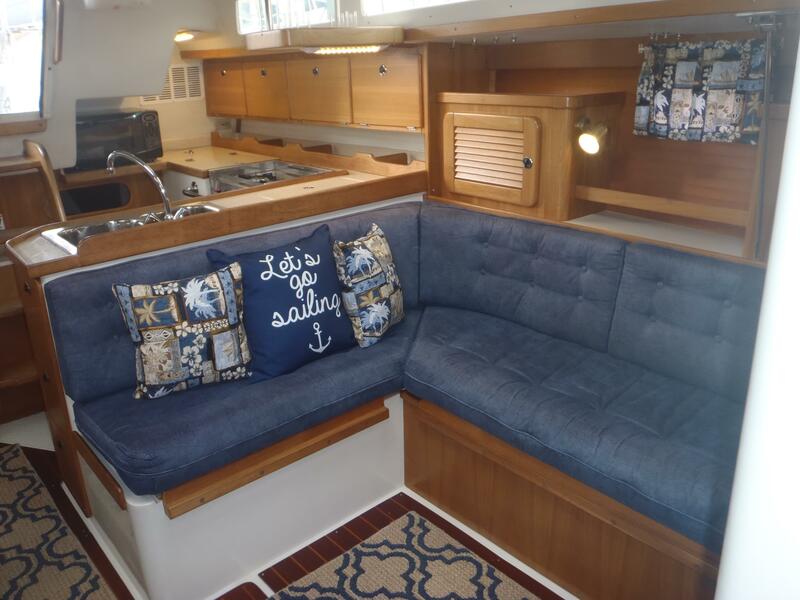 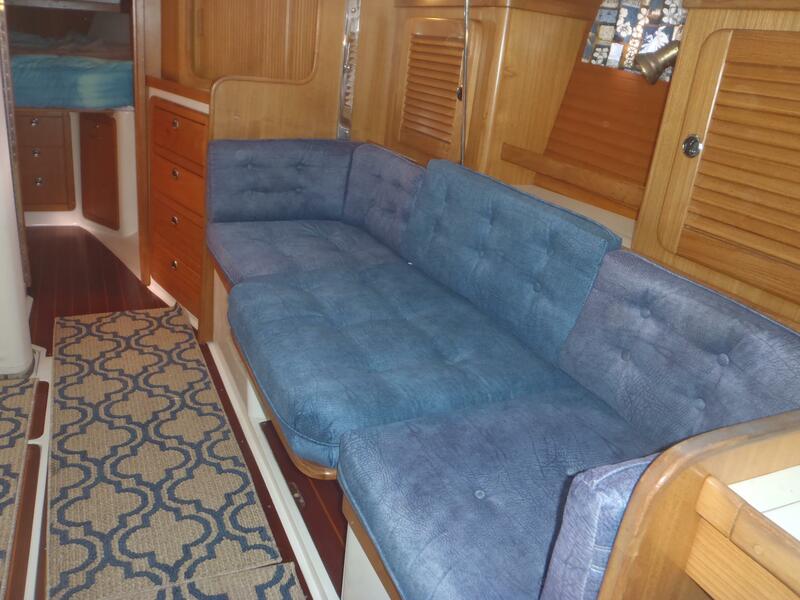 The table converts into single settee/berth.To port is an "L" shaped settee with bulkhead mounted dinette table that also drops into double berth position. 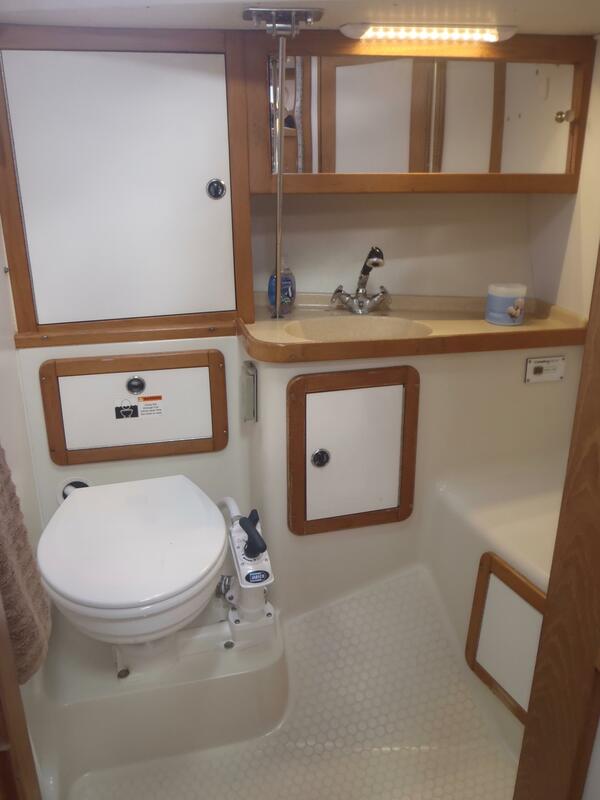 Continuing forward there is a fully private head with shower bench seat and double entry doors, one leading to forward cabin. 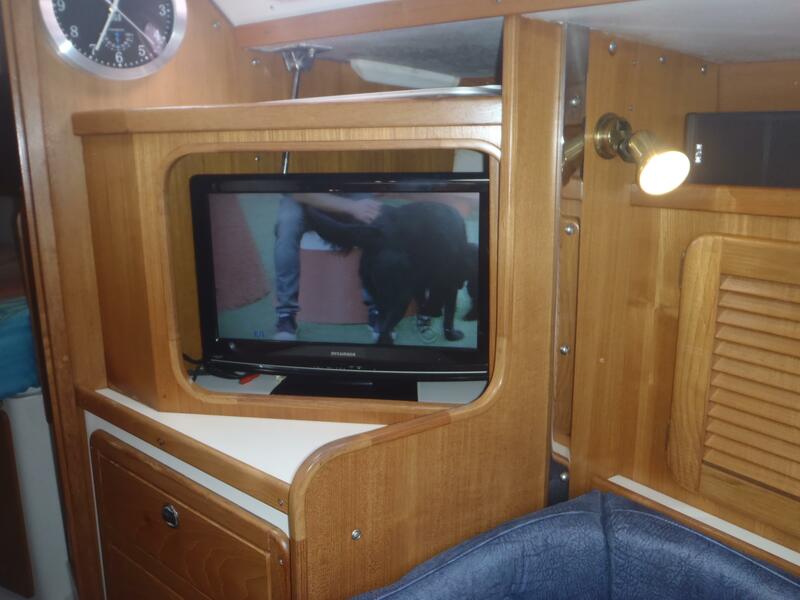 Across from head is entertainment area with sliding door that conceals the TV, with storage below. 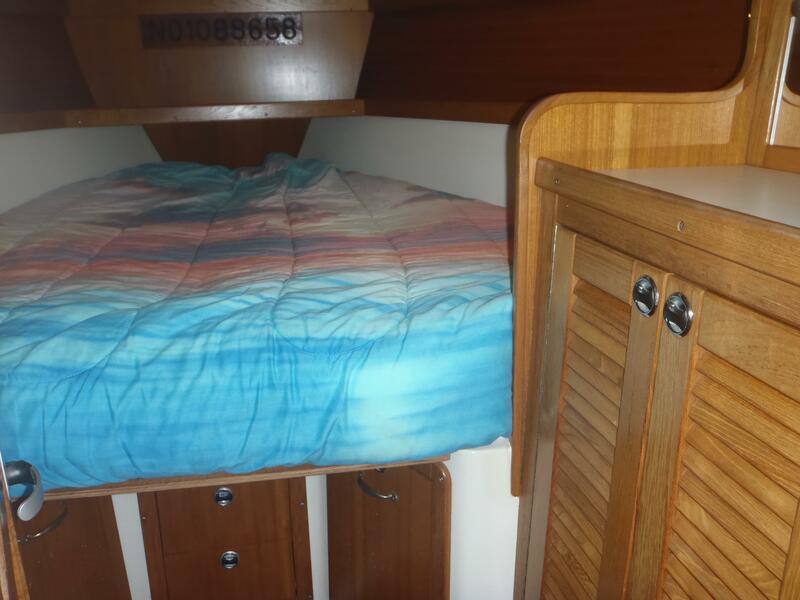 The forward cabin has a private stateroom door, and separate private door leading into head, hanging clothes locker, chest of drawers, topside opening hatch.The v-berth has a new custom mattress for a comfortable night sleep. 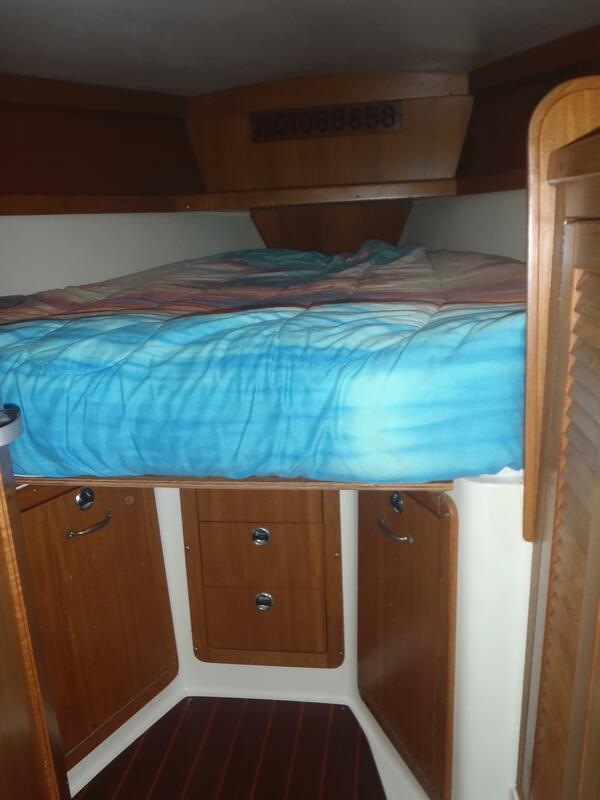 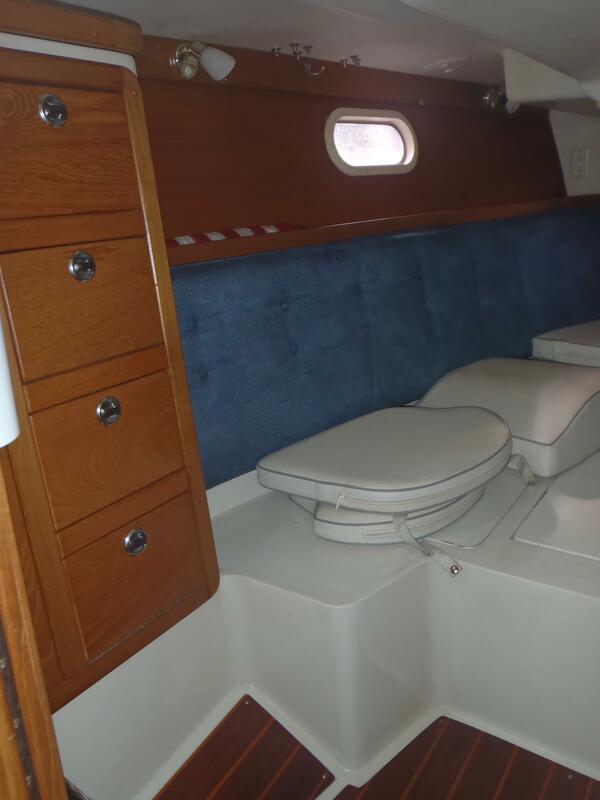 There is abundant storage throughout the cabin with the cabin head room at 6'4". 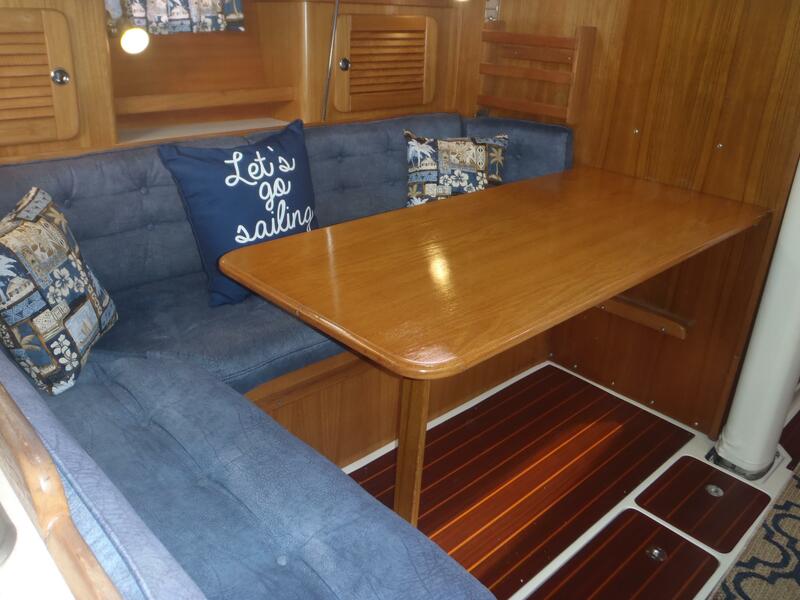 The teak & holly sole is in excellent condition. 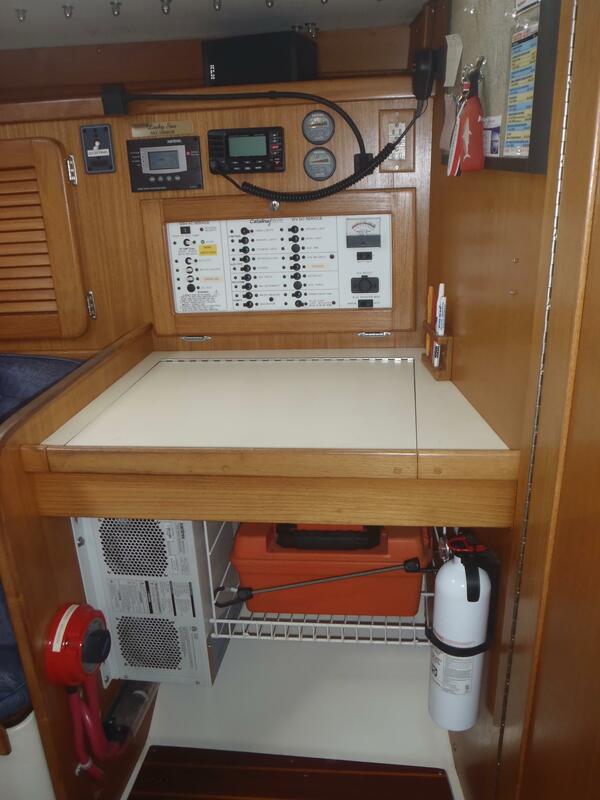 For ventilation there are 7 topside opening hatch's, 5 side opening port windows. 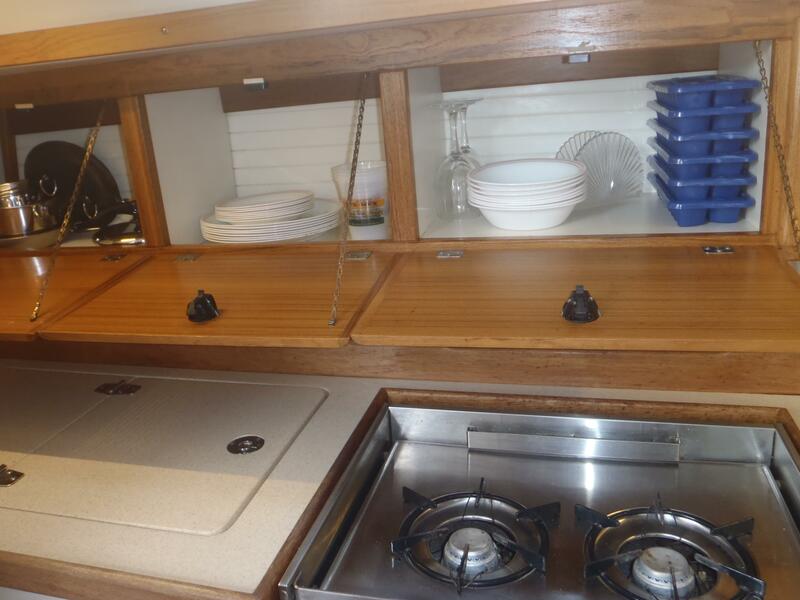 Storage above & below complete with dishes, pots and pans. 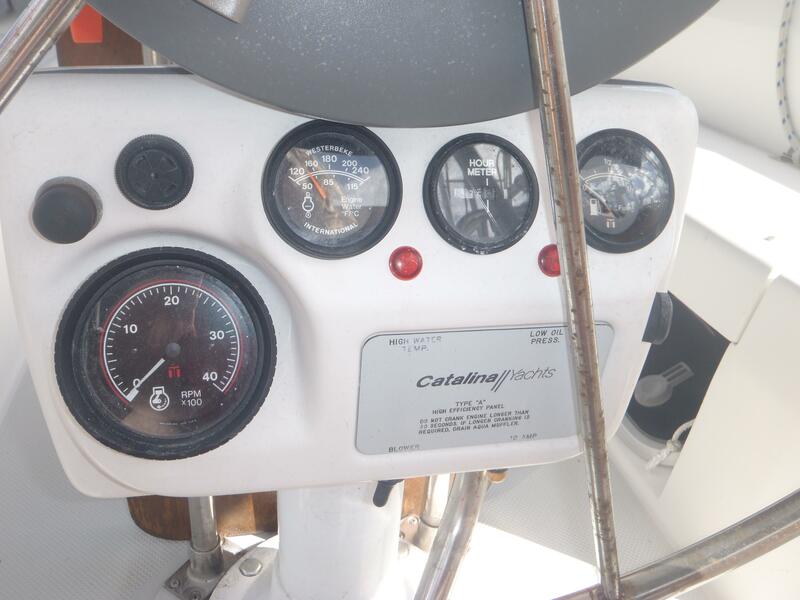 New Westerbeke Tachometer, and sierra hour meter. 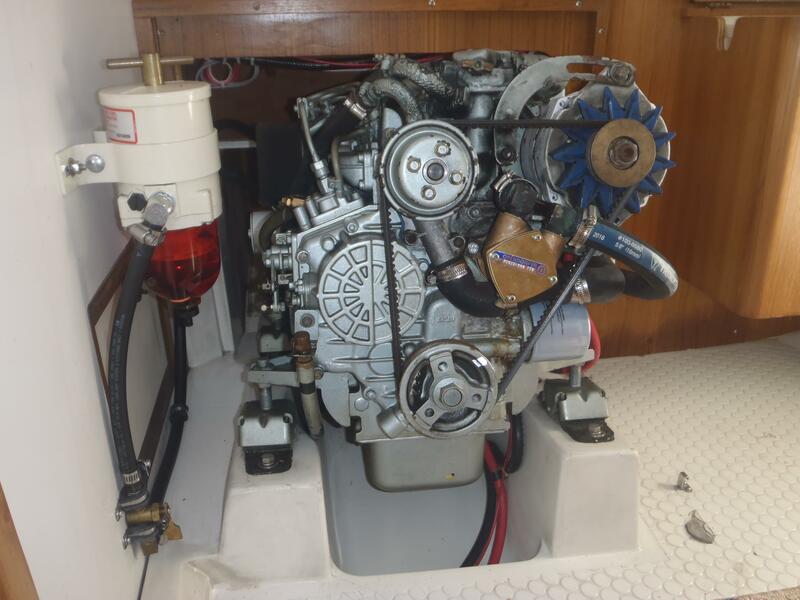 The Heat exchanger has been serviced and the water pump was replaced with an upgrade. 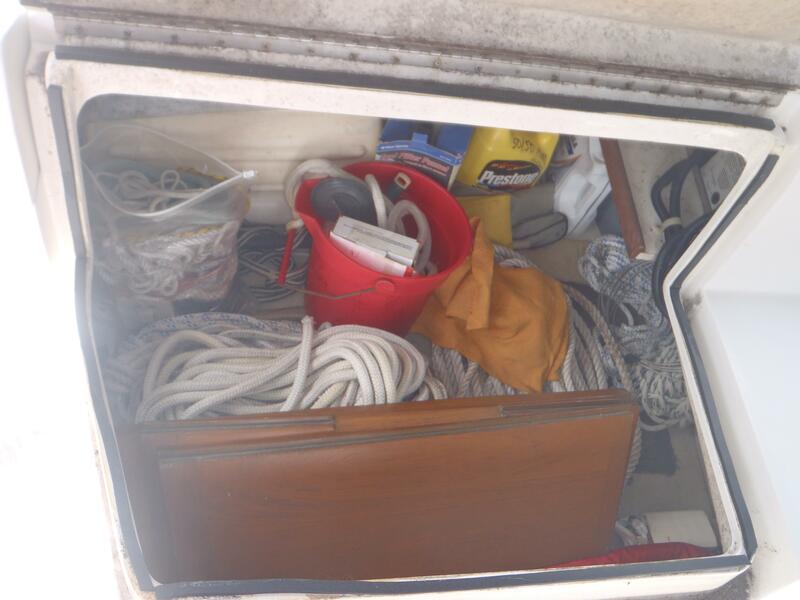 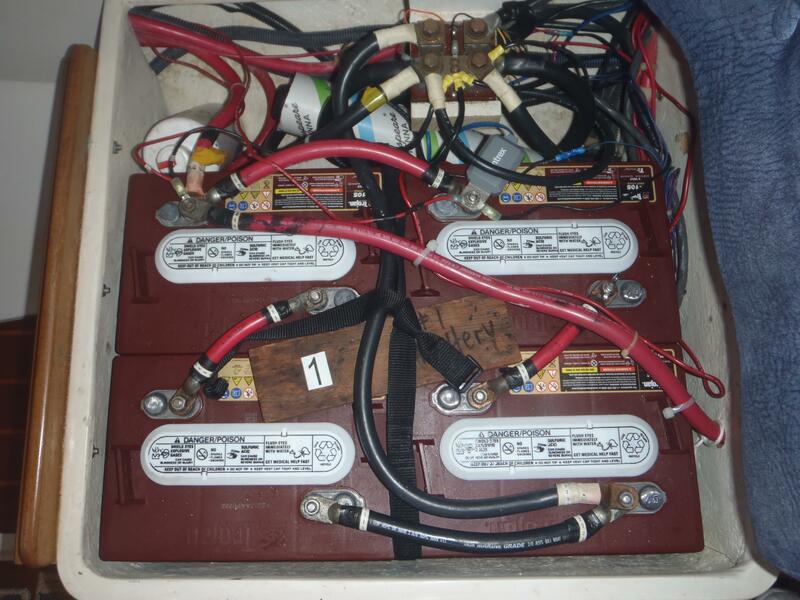 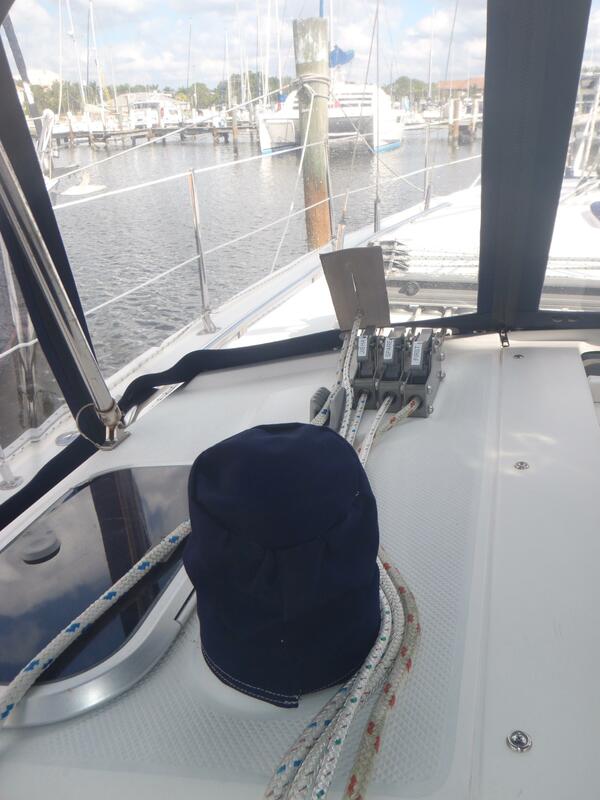 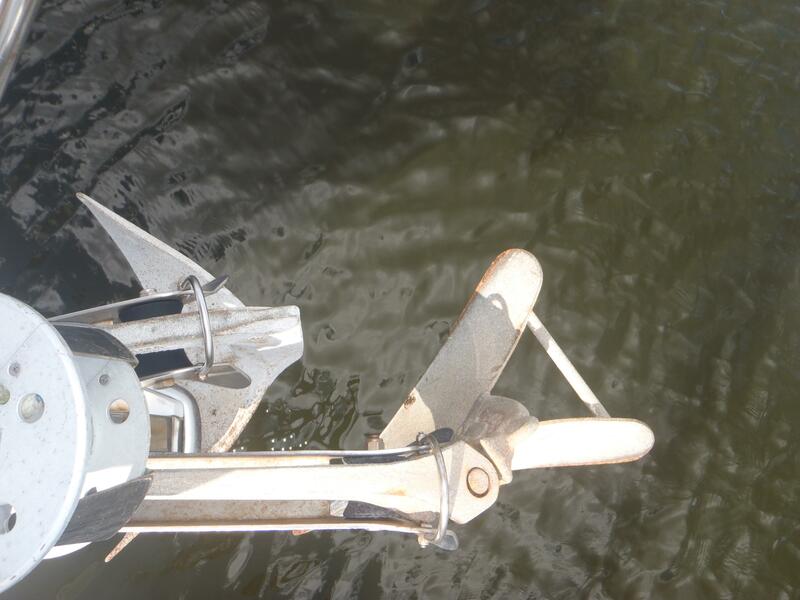 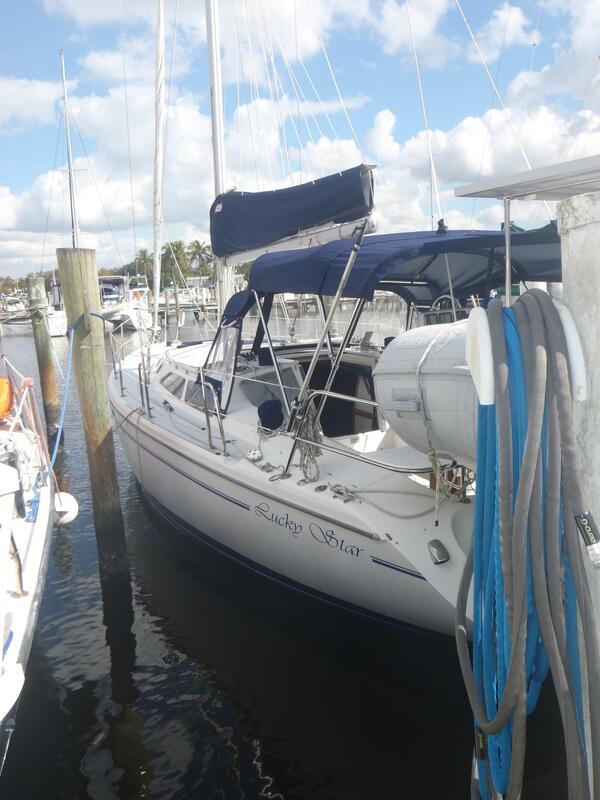 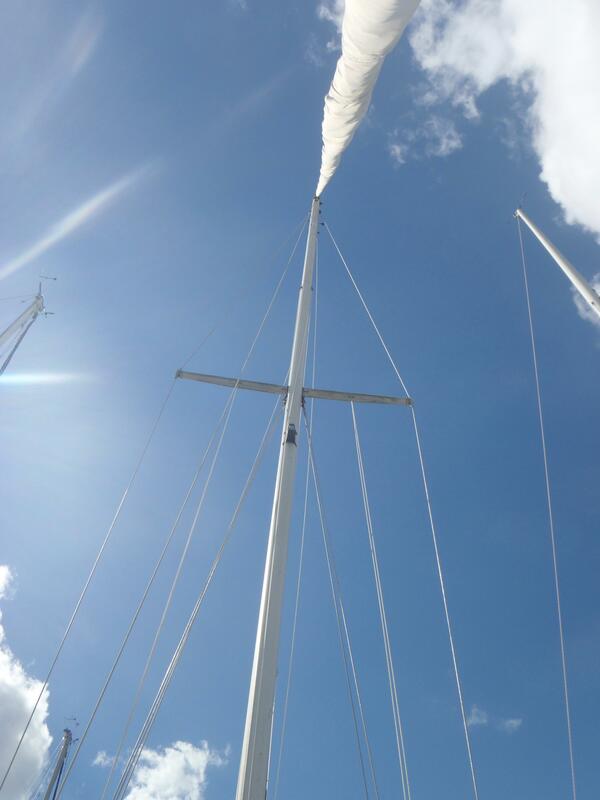 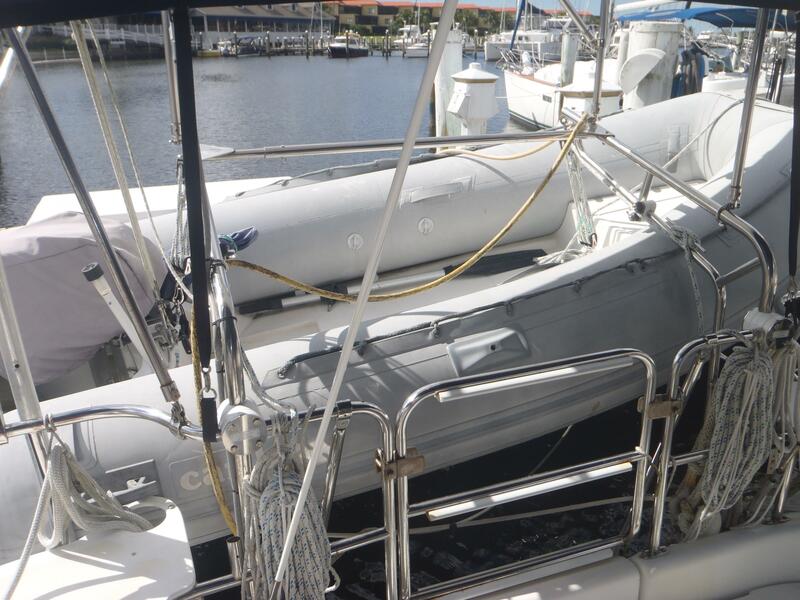 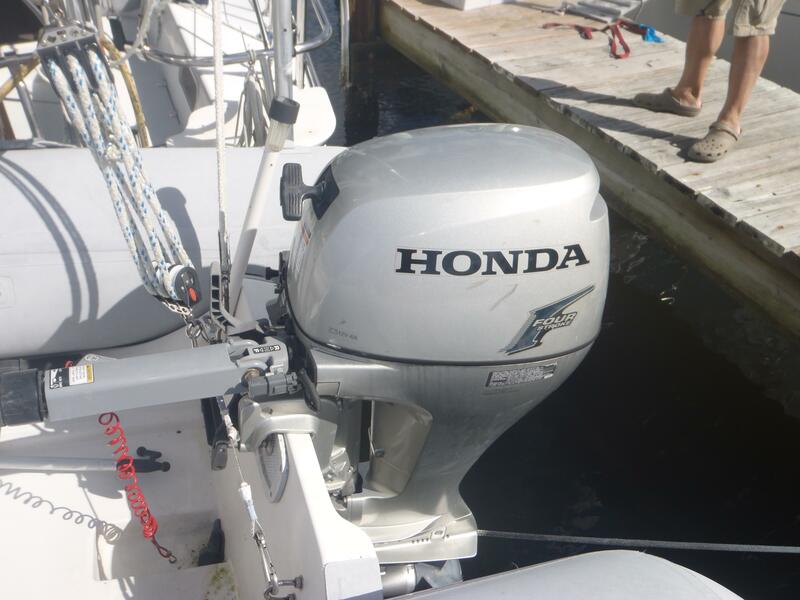 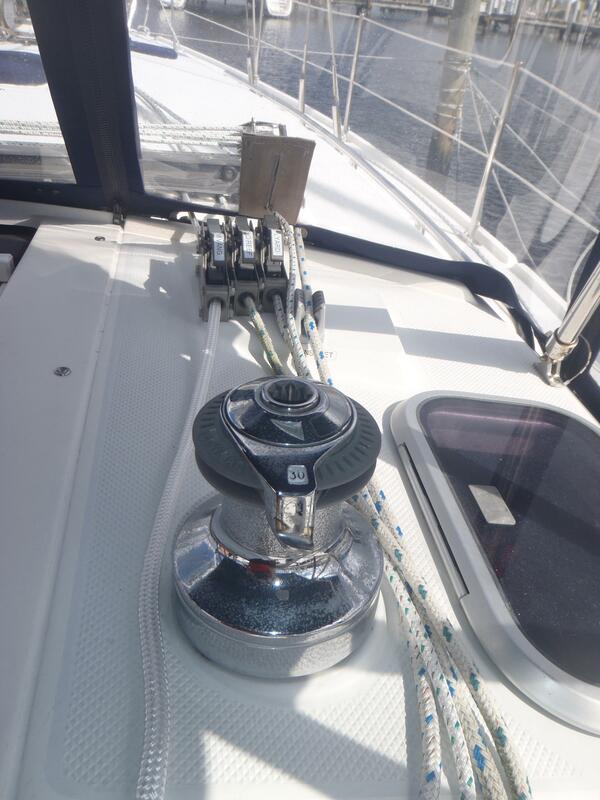 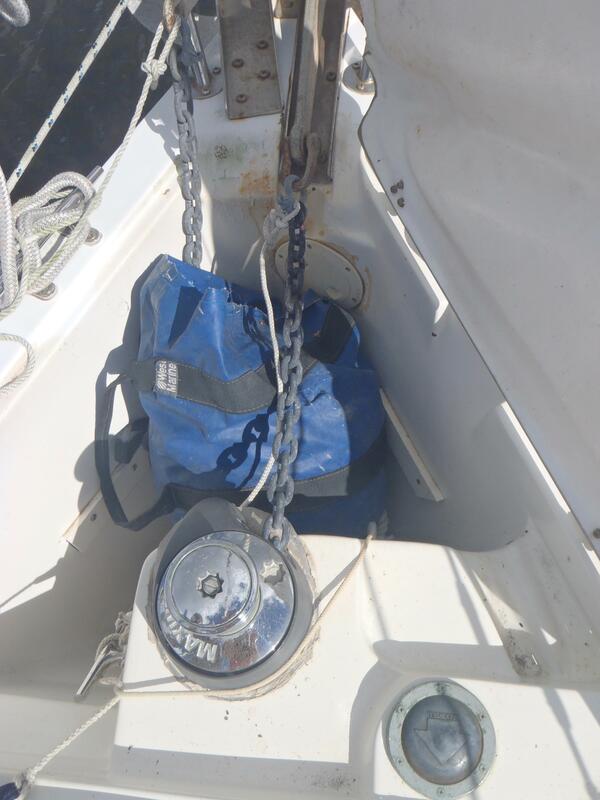 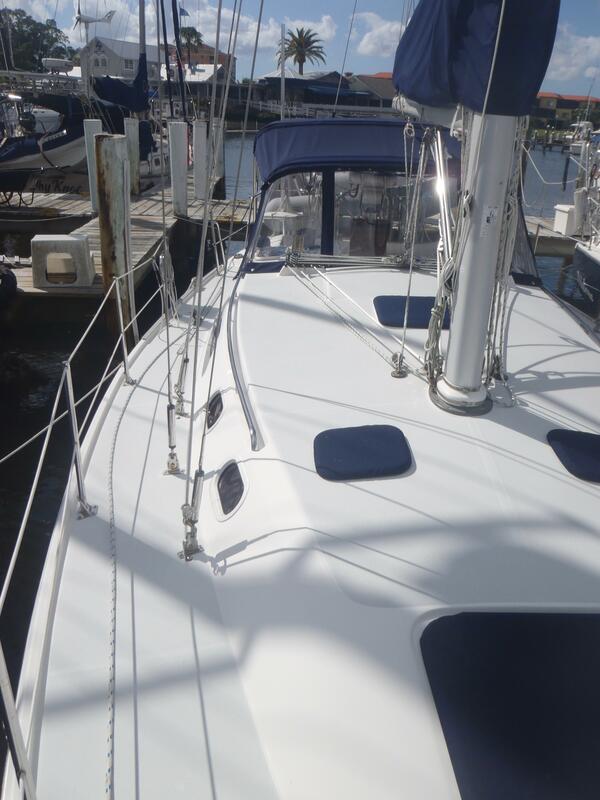 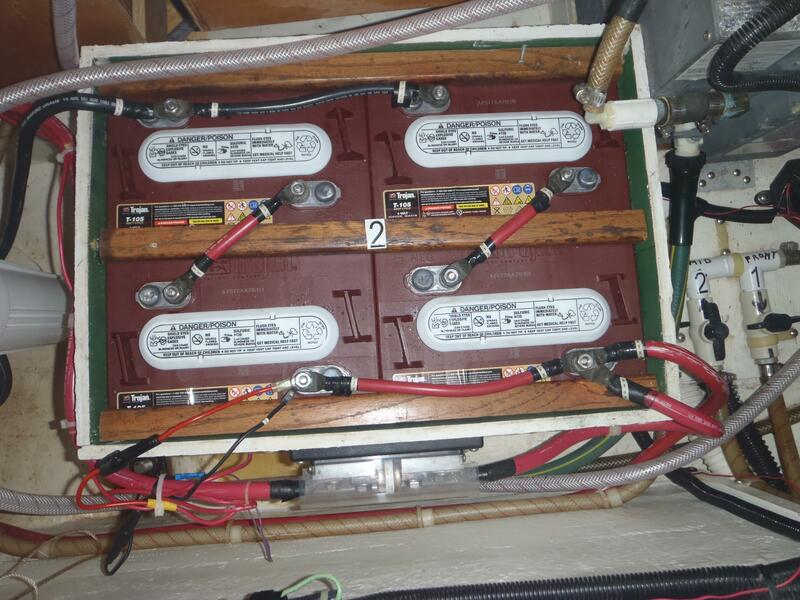 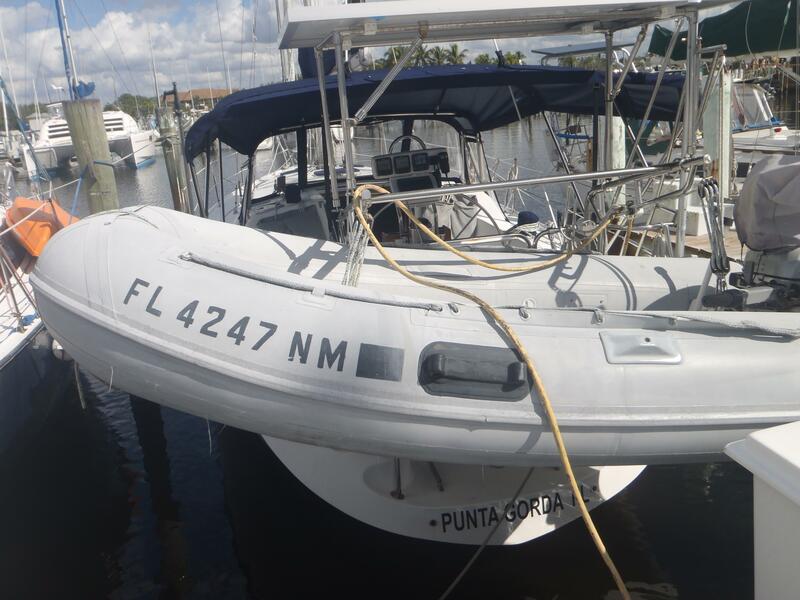 Mast Height above water line is reported at 52' 2"
Call to set up appointment.